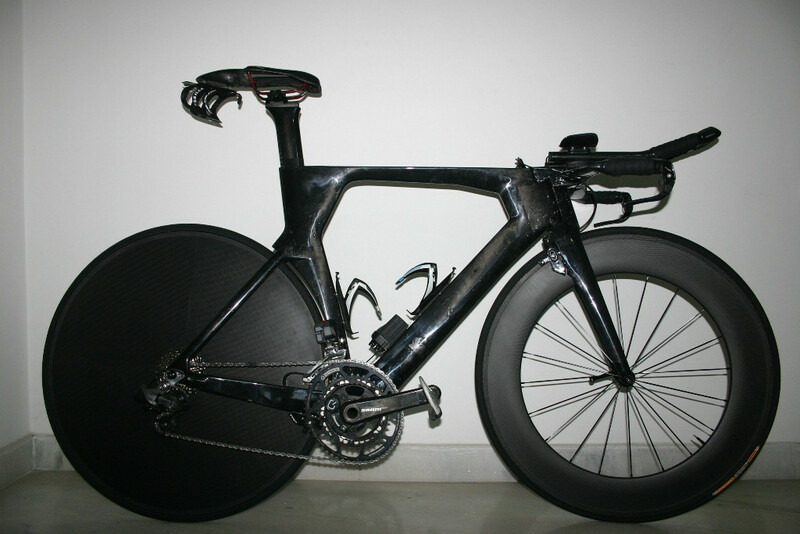 Chinese carbon rear TT disc wheel – any about? This topic has 12 replies, 6 voices, and was last updated 5 years ago by mrblobby. Yes, I got a track one, can’t recall the supplier exactly but I may be able to dig it out. Just go to Alibaba and do a search. Only used it a couple of times, but it seems pretty solid. Thanks Sam. Be interested to know which you went for. I have a Chinese carbon disc, bought from ebay. Seller was carbon-goods, I paid $820 for it, and it’s a tubular. I’m no expert on different discs, but it seems pretty decent, and I’ve had no issues with it. It’s not quite as loud and rumbly as a Zipp, but a fraction of the price. Can also be converted to track. Anyone found these in clincher flavour? lilchris, a search on ebay shows both clinchers and tubulars. Rather, like you I gather, hoping not to spend £1.5k for a Zipp!! Thanks kilo, been checking ebay fairly regularly too, shall check out the time trial forum. Just wondering what the chinese carbon options may be. Hmmmm…. in that case I do wonder what performance gains you’d get from switching to a Chinese disc. I mean obviously the WHOOSH WHOOSH WHOOSH will make you faster 😀 But Zipp state a 23s difference over 40k for an 808 pair vs 808 and Super 9. Swapping the aerojacket for a Chinese disc will probably drop a bit of weight and gain a bit of aero (maybe! ), but I’m not sure how much that’ll be worth. Say 15s over 40k for £900? Well, my cheap disc was closer to £500 than £900, so it seemed like decent value to me. As I’m based in India and only in the UK sporadically, it was much easier to buy new, albeit probably poorer quality, than 2nd hand, purely down to logistics. Were I UK based I would most likely have trawled the classifieds to get something with a good reputation. I’m not really in a huge position of authority to comment on how fast it is, or have enough data to conclude if I’ve gained any more speed from it. It certainly isn’t as stiff as a Zipp as the sides can flex if squashed – the more expensive offerings have some sort of core filling, some of them honeycomb I think.
. Say 15s over 40k for £900? Plotting a stages purchase. The powertap usually is on the turbo bike. The topic ‘Chinese carbon rear TT disc wheel – any about?’ is closed to new replies.